If you are looking for an appropriate gift idea for the Be Positive Do Something Positive Day, here’s some help on offer so that you can come up with something, which will be cherished for years to come? Laughing Buddha – ‘The Gift of Happiness‘: You can make your dear ones to feel special on this Be Positive Do Something Positive Day by gifting this traditional and much treasured Gift. Laughing Buddha, it is believed spreads happiness around. The statue is supposed to bring a lot of good luck when given as a gift than when bought and retained with one self, so send one to spread bliss & joy with this serene statue! 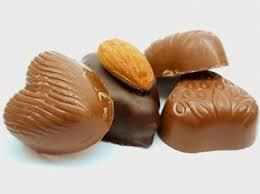 Chocolate: Most chocoholics will affirm that they love chocolate since it makes them really happy. What better excuse can be there to give it as a gift? Our taste buds will confess to the pleasures of a gourmet chocolate. According to BBC Science and Nature report, chocolates contain tryptophan, the natural ‘love drug’ that is utilized by our brains to make serotonin. A lack of it is generally associated with chronic fatigue syndrome. Dark chocolate is high in polyphenols, so it enhances the serotonin level in the brain. This drives away anxiety and can produce happiness. Chocolate also carry small amounts of caffeine that add to dopamine levels, thus activating pleasure centers of the brain. Jewelry and trinket boxes, charm bracelets. All these also make a perfect gift not just for the “Be Positive Do Something Positive Day” but for any other personal or professional occasion.